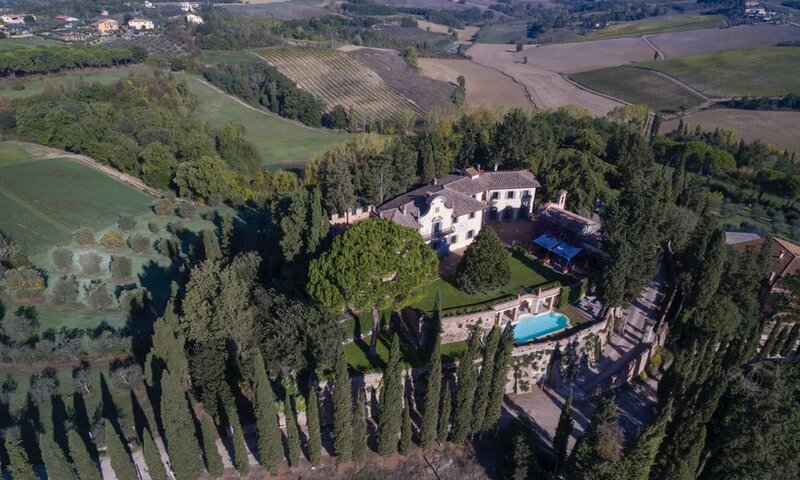 Immersed in the heart of Tuscany, this splendid mansion is a place where refined elegance beckons total relaxation from the moment one arrives. 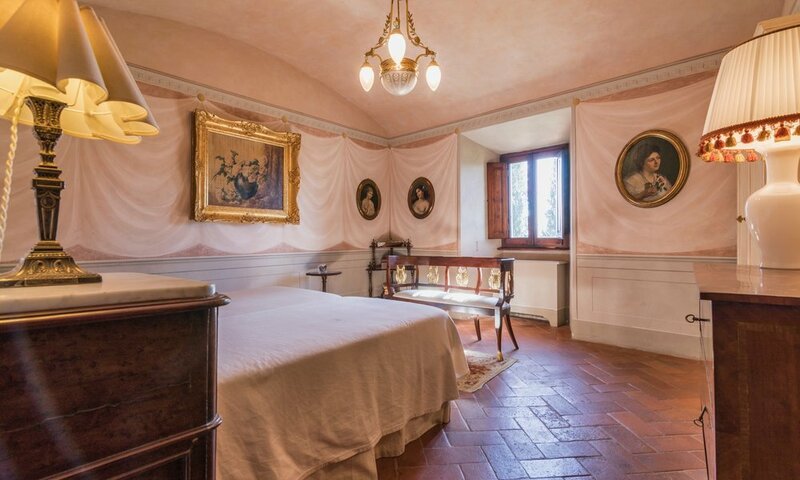 A ravishingly updated 13th-century villa high in the hills over Castelfiorentino, this property offers a great selection of art, antique bathtubs completely renovated in 2004 and valuable artworks. Spacious boudoirs are graced with original frescoes, scented candles and fresh flowers, and there are a sacred chapel and a swimming pool area with loggiato unique in the entire region. The estate sits on a hill facing San Gimignano - the towers are visible from the main garden and facade of the property - on 25 acres full of olive groves, yet it is located just a few kilometres outside Florence, just perfect for frequent immersions in the Tuscan capital city or the great alternative of San Gimignano (twenty minutes away). We inspect each property and provide agents with professional unbranded material, including high resolution pictures, a commercial pdf and confidential descriptions of the property, room by room. We manage exclusively part of our current portfolio.